Ever spent an evening in a hostel talking to a bunch of fellow travelers? It doesn’t take long before someone brings up scuba diving. It’s a great activity which is not just reserved for thrill seekers: A bit of curiosity has led many folks to start this hobby. Even if you are usually travelling solo – as a diver, getting to know new people you can hang out with later with is a piece of cake. 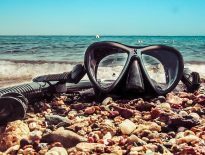 Whether you’re just a newbie looking to get started or an advanced diver searching for new places to explore, you should read this round-up post carefully. 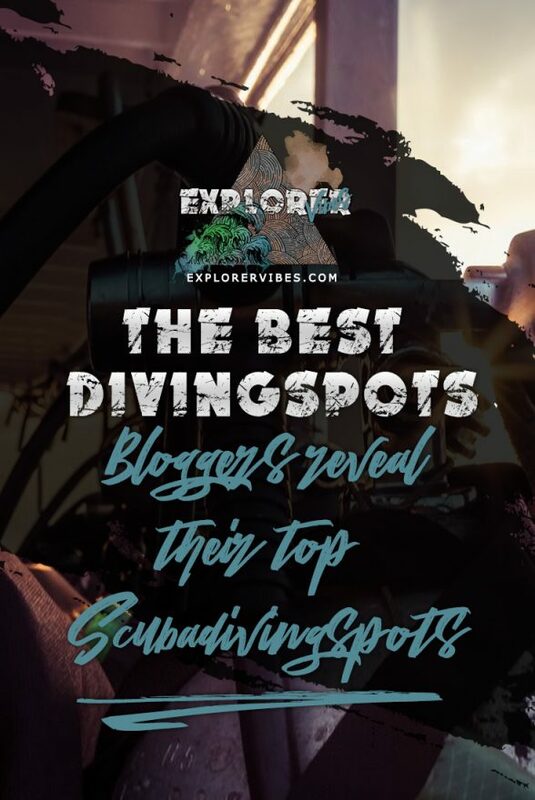 In this post, some fellow travelbloggers who are also enthusiastic scuba divers will tell you which top dive sites have impressed them the most and might be a great addition to your bucket list. 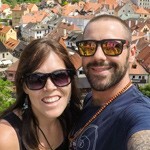 NOMADasaurus was started as a simple travel blog to document Aleshas and Jarryds adventures around the world. As time has passed this website has grown and developed into something a whole lot more. They’ve expanded to have a wonderful team behind them, creating content, exploring new destinations and bringing the best in adventure travel to the world! 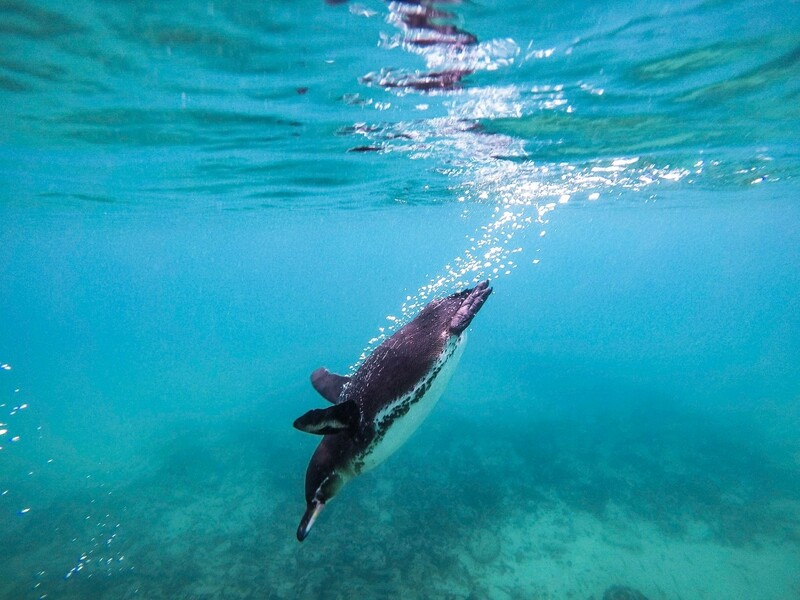 The Galapagos Islands are known for being one of the most incredible dive locations on the planet, with an abundance of marine life attracting ocean lovers for decades. Darwin and Wolf, the two outer islands in the archipelago, are the pinnacle of Galapagos diving, however, the only way to reach them is on an expensive liveaboard cruise. An alternative is to dive from the smaller islands of Santa Cruz or San Cristobal. That’s not to say that these two locations are subpar though, and on a good day you’ll have the opportunity to dive with whale sharks, hammerhead sharks, manta rays, huge schools of tuna, sea lions, turtles or even Galapagos penguins and marine iguanas, all for a fraction of the price of the liveaboard. 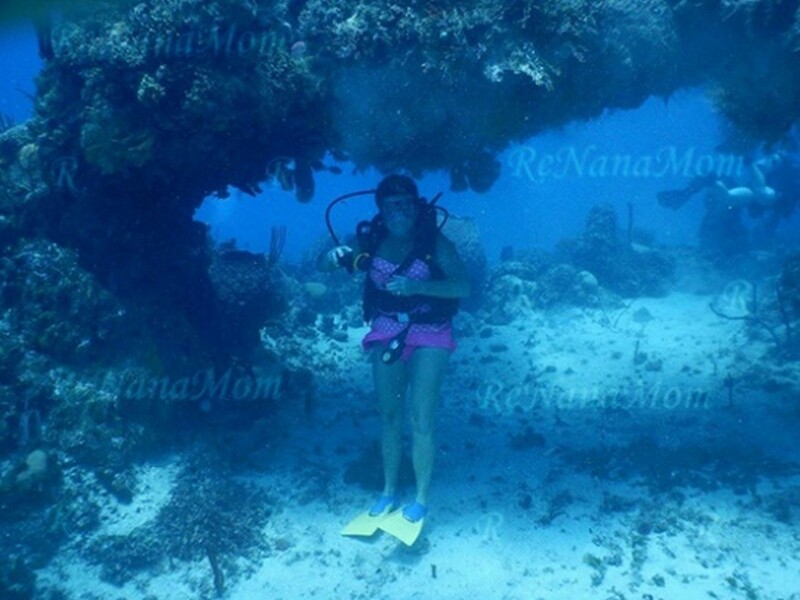 Renee’ Garrison is a lifestyle blogger of travel, scuba diving, family, and crochet projects, emphasizing on travel and scuba diving. Renee’ and her husband completed their AOW certification in Jamaica in October of 2015. 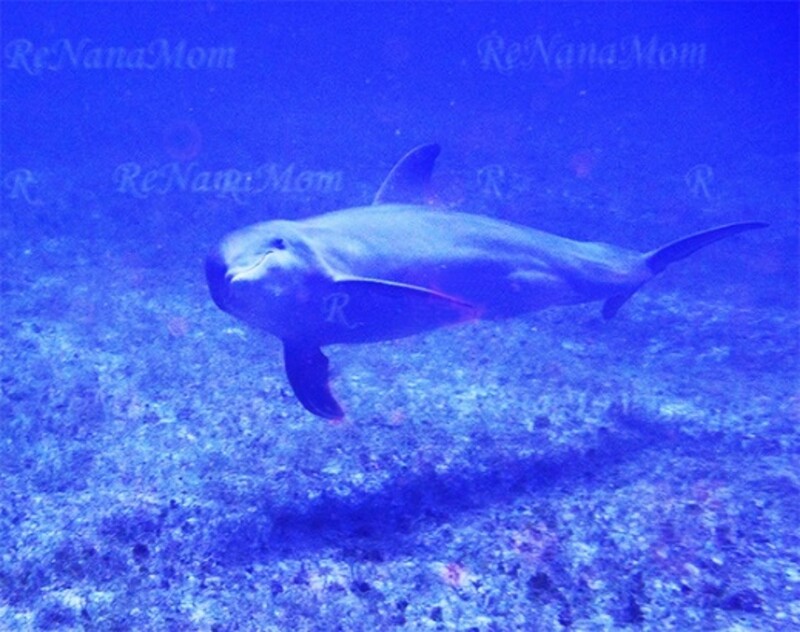 They have been to Jamaica 3 times each year since and have visited several of the dive sites off the coast of Negril. Renee’s favorite of all the dive sites is Arches/Shallow Plane. These two sites are always combined in one dive. Arches has a maximum depth of 45 feet and the shallow plane, a Cessna 152, maxes at 60 feet. With a sandy bottom, there are overhangs, ledges, and swim through (arches). You can find Queen Angelfish, Spotted Drum Fish, Nurse sharks, large stingray, and occasionally, dolphins are seen during the dive. At times, you will notice a diver spearing the lionfish here. The lionfish are very invasive to the coral reefs and can consume fish twice their size and will eat any type of fish. 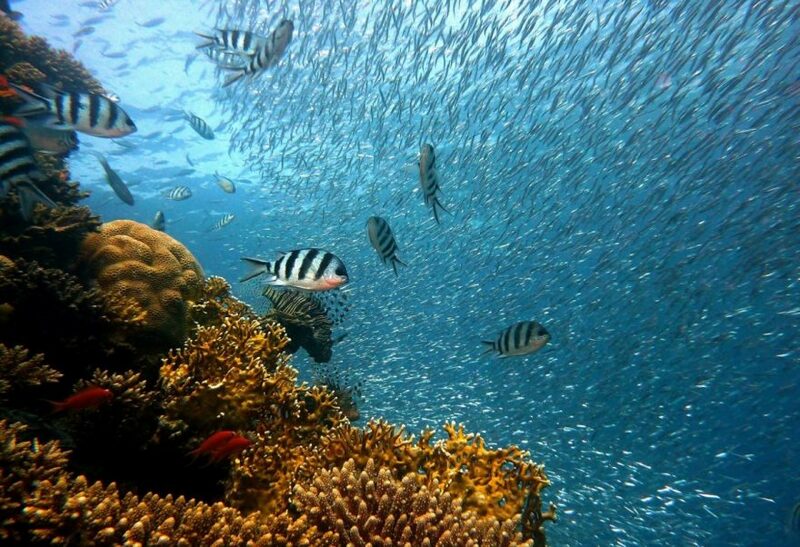 Since becoming certified Renee’ has noticed that the coral reefs in Jamaica are becoming more colorful, thanks to divers being aware and taking action against the lionfish. 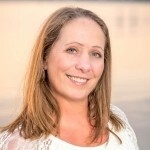 Nathalie is an avid travel and scuba enthusiast and blogs about her adventures on her website Freedom Tour Travel. 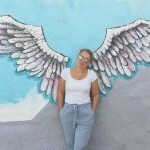 Based in Miami, she offers travel inspiration and tips through her blog. This is a great shore dive spot located in Florida’s Intracoastal. It’s an excellent muck dive site, perfect for underwater photography. 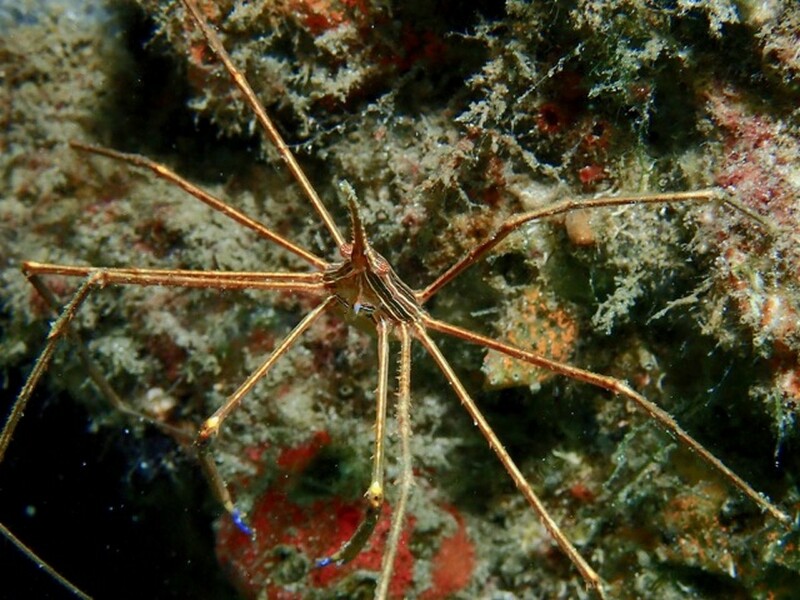 Blennies, frogfish, seahorses, batfish, pipefish, gobies and many other tiny creatures call the Blue Heron Bridge home. 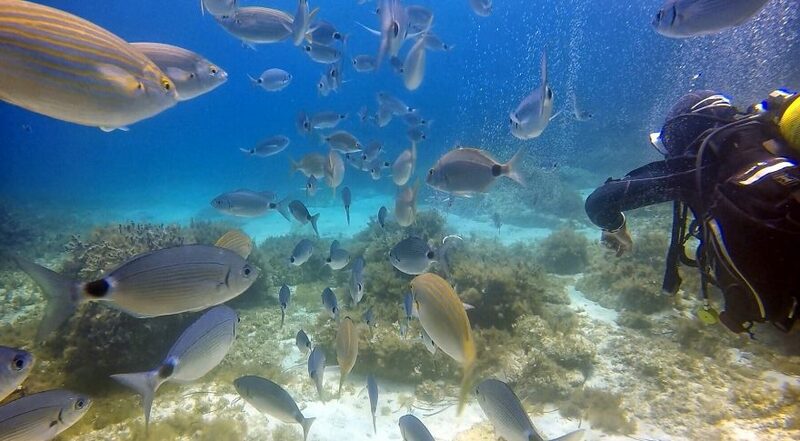 Large schools of reef fish are a common sight. Bigger stuff can also cruise by, so keep an eye out for sharks, rays, turtles and even manatees. The diversity of the cool stuff to see is what makes this dive so exciting. The shallow water allows plenty of sunlight to light up little critters that take refuge in the natural and manmade structures making it ideal for macro photography. 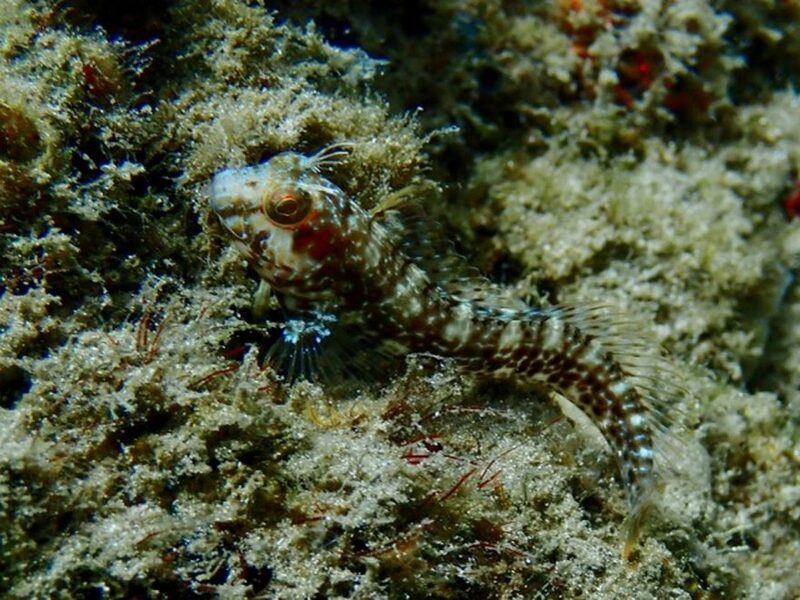 Check out this Seaweed Blenny posing for a pic. Luckily the Blue Heron Bridge is a local dive site for me, so my buddy and I can dive this site regularly making it one of my favorite dive spots. The dive site is very shallow (5-20 feet) and suitable for beginners but there’s a way to do it right: It’s very important to consult the tide tables and get in the water 30 minutes before high tide. This is when the water is the clearest with a visibility that can reach up to 100 feet, but these great diving conditions can turn quickly as the tide goes. Outside of that window, visibility can be as low as 5 feet. Also, the current is very strong, even ripping at times, and you could get pulled into the boat channel and get into serious trouble. Don’t underestimate the current and play it safe! 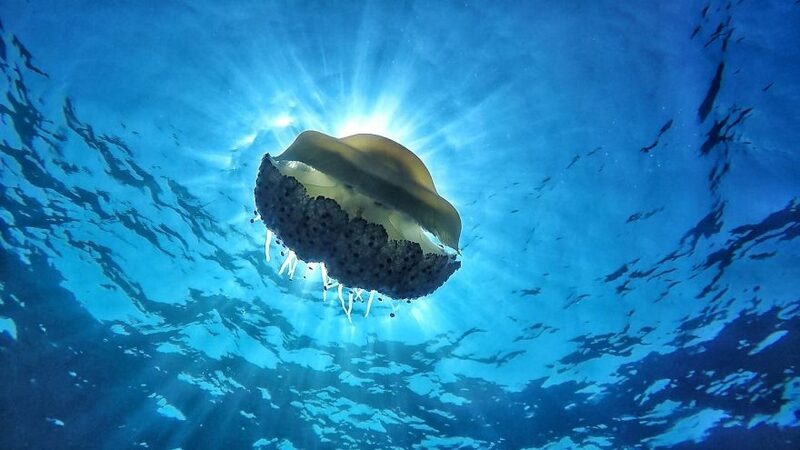 A full wetsuit or rash guard is recommended as there can be jellyfish and sea lice. The Blue Heron Bridge Dive Site is located inside the Phil Foster Park in Riviera Beach, Florida. 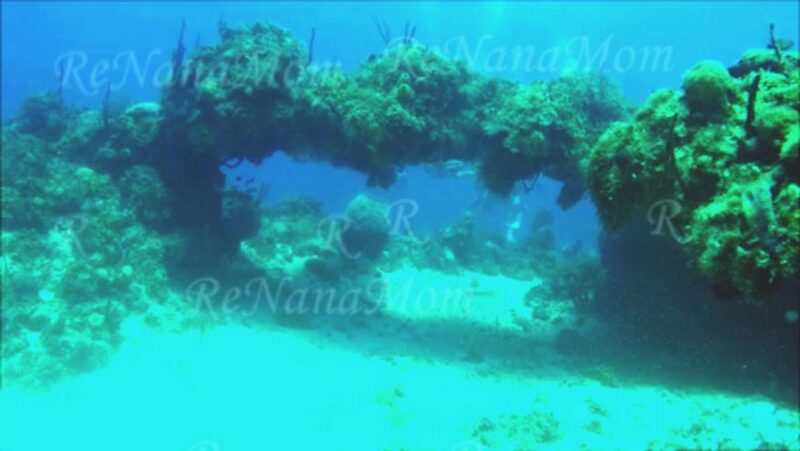 Non-divers can also enjoy the Artificial Reef and Snorkel Trail. 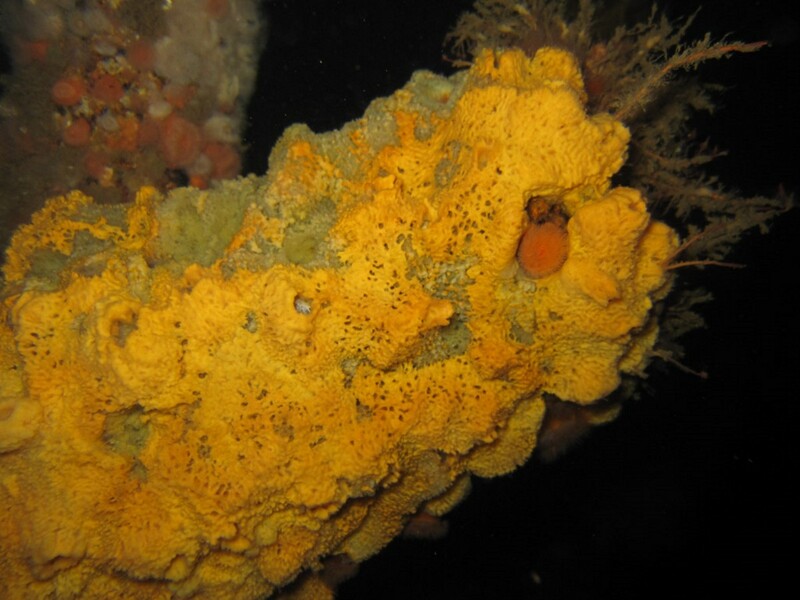 The local dive operator on site organizes occasional twilight and night dives where it is common to see octopuses and other nocturnal creatures. They also offer guided tours which may be a good way to get an introduction to this dive site. Christina is a digital nomad and travel blogger that fell in love with a small town on the Red Sea in Egypt and has made it her home base. She’s living among Bedouins and expats and enjoying the stunning nature – not just the sea but also the desert. Another amazing dive site is the Canyon. Most likely you’re going to dive here as well when you go to the Blue Hole, it’s right before it. From 10-20m you’ll find a beautiful garden of corals and then discover the canyon itself – a split between the reef going down to 54 meters where technical divers can exit the Canyon. Otherwise, you can just dive through the cracks. 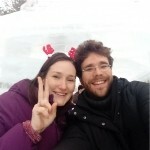 MC Adventure Blog is a quirky travel blog run by Chris and Monique. The blog focuses on sustainable and ethical travel and aims to bring you the best travel experiences while taking care of the world that offers these wonderful opportunities. Manta Point is a dive site situated right next to Nusa Penida, just an hour boat ride away from the southern tip of Bali. 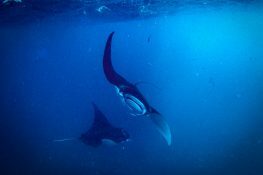 As the name suggests it is a site best known for its manta rays which can be seen all year round, but the best chance you have of seeing them is around May or June. The maximum depth is about 15 meters so this site is suitable for all levels of divers and with water temperatures of around 20°C no special equipment is needed to dive. 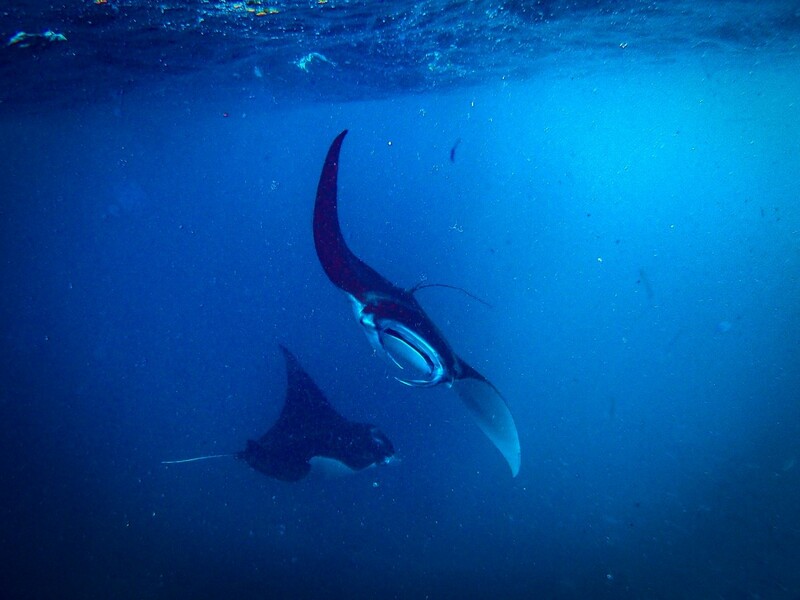 I can say without hesitation that diving with manta rays has been one of the most amazing experiences of my life. Mantas are intelligent creatures and can get very inquisitive, which is a great opportunity to get a photo or a quick video. 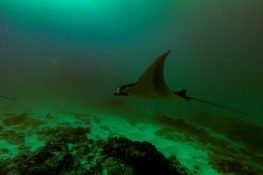 The main attraction at the dive site is to see mantas, the other marine life is mediocre at best, so make sure to check the best time to visit with your dive company as it will be a very disappointing dive if the mantas don’t show up. Campbell and Alya are the creators of Stingy Nomads, water lovers and hiking addicts, traveling the world to bring you tips and tricks to experience some of the most thrilling adventures on the planet! Sipadan island in Borneo, Malaysia is the number one spot to dive in the country, made famous by ocean explorer Jacques Cousteau praising it as one of the world’s best dive spots. There are many spectacular sites around Sipadan Island, but Barracuda point is the most photographed and famous dive site around Sipadan . Only a couple of meters off-shore there is a massive coral wall that drops 300m into the deep. Currents flowing over the reef create one of the most spectacular wall dives in the world. 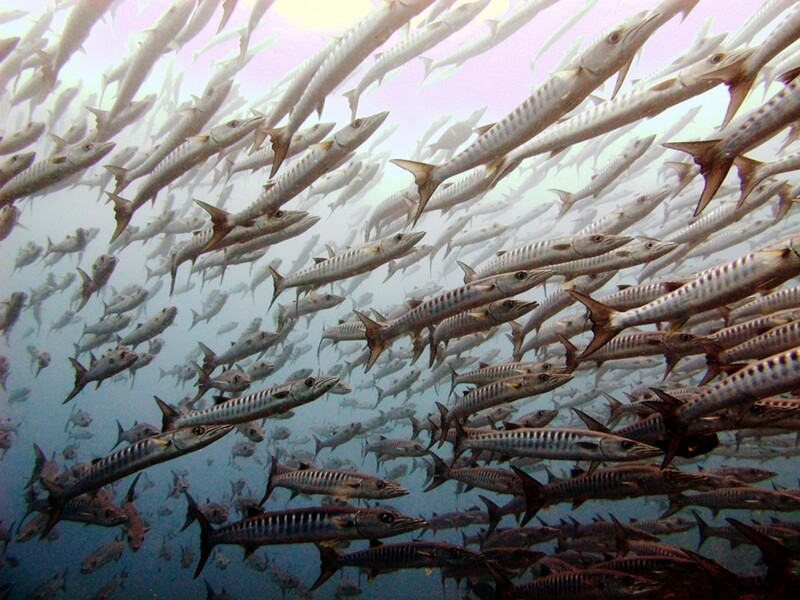 At Barracuda point there is an enormous resident school of big eye Jack’s that engulf you early on the dive in quite shallow water. Massive Bumphead Parrotfish sometimes come by while you are still on top of the reef. As you descend, a ripping current can have you flying over the reef, if you look in the cracks and crevasses you can spot interesting things: Different nudis, crocodile fish and other critters, hawksbill turtles or big groups of white tip reef sharks sometime come by at about 15 to 20m depth. Well into the dive you usually hit what this dive is known for: Massive schools of barracuda, if you are lucky these fish spiral around you to form a large ‘barracuda tornado’. A popular piece of equipment to take along is a reef hook, a line with a handle on one end and a big, strong hook on the other. You hook it somewhere rocky on the reef, grab on to the handle and hang in the current watching Barracudas come by. Only 200 divers a day get permits to dive here and this is strictly regulated, so book your permit in time! There is hardly anything Viktoria is speaking about more than diving. 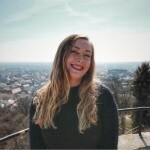 The Austrian has been scuba diving for the past nine years and writes about her adventures on land and in the sea/lakes/rivers on her site “Chronic Wanderlust”. Deciding on a single dive site is not so easy. As of last year, one of my absolute favourite scuba diving sites is the Kornati National Park. I discovered this paradise rather by accident and fell head over heels in love with the colourful and diverse underwater world. There is actually no dive site there that I could call bad or not as good as the others – they are all simply unique and it is a real pleasure to explore the different sites. Especially Tec divers are magically drawn to Murter as there are countless (very) deep dive sites. For example the wreck Francesca, which lies on 40-52 meters. 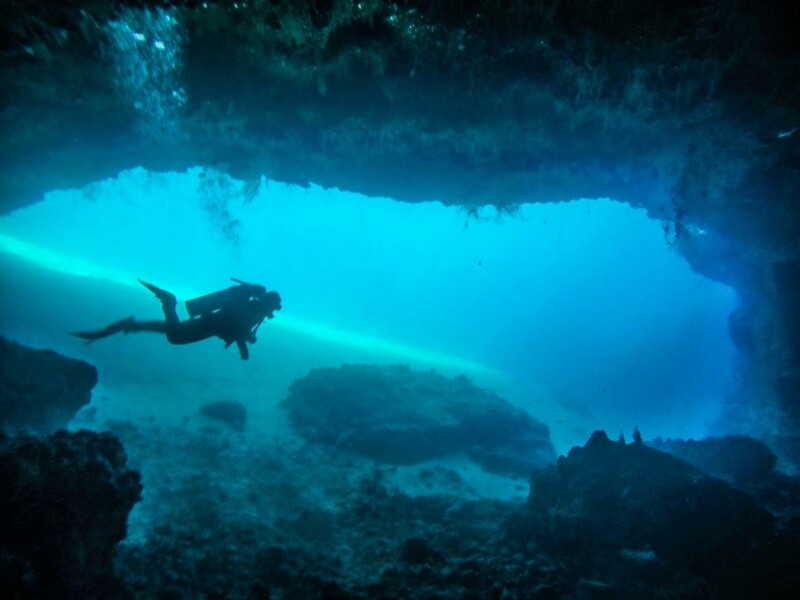 In general, diving in this corner of the world is more suitable for experienced divers than for beginners – this is partly due to the depth, of course, but also to the fact that most dives take place without a guide but with a detailed briefing. 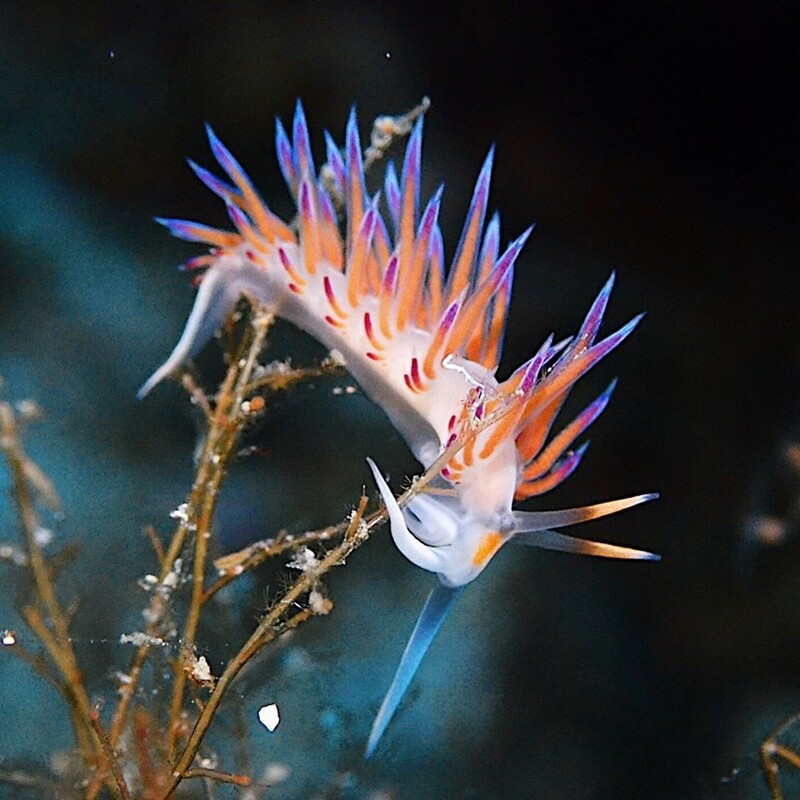 Among the underwater inhabitants of the Kornati National Park are moray eels, octopus and, on closer inspection, nudibranchs in various colour combinations. Summarized: The Kornati islands are colourful, the steep walls are fully covered with corals, the water temperature is pleasant and there are enough cosy restaurants with excellent food to end the day. You can find out more about my paradise here . Demi is a blogger, traveler and PADI Scuba Instructor. She enjoys writing about her travels all over the world, her job a Dive Professional, and her experience diving in different locations. One of my favourite places to dive is Malta . I was lucky enough to work a season on the island in 2018 and grew to love it. The water is crystal clear – a day of bad visibility for Malta is anything under 20 meters. It’s easy conditions to teach in, and easy for students to learn. There are lots of wrecks located in the waters around the islands offering some excellent dives. My favourite sites included the Um El Faroud – a 110 metre long oil tanker, and the “Blue Hole” in Gozo, a chance to dive into a crystal clear blue pool and explore the now fallen Azure Window. The diving in Malta is famous for the rocky formations which interesting to swim through. Whilst not teeming with life, there’s plenty of Moray Eels, Nudibranch and the occasional Tuna to keep you busy! There are many Dive centres on the island, so there’s a real dive community going on! Malta also comes with the added bonus of being really cheap to get to from most of mainland Europe, as it is served by many budget airlines. Water temperature in summer can reach 28 degrees, whilst in January it drops to a chillier 15! 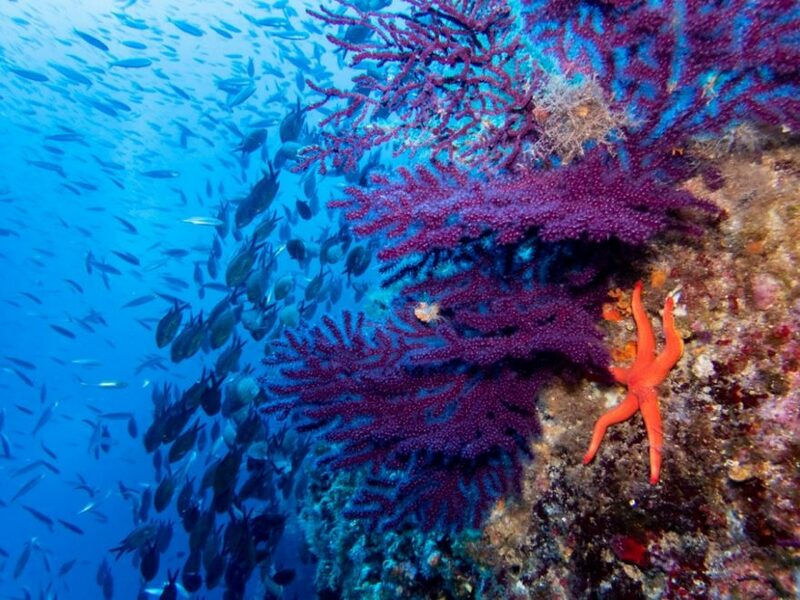 Most of the diving is from shore, however there are a few dive sites only reachable by boat. 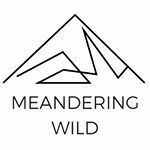 Suzanne has been a diver for over 25years and has been blogging about diving, travel, photography and wildlife for the last four years at Meandering Wild. Her blog focusses on the more remote and wild adventures that travel can bring to your life. Orkney is a small archipelago of islands 8 miles north of mainland Scotland. Now a quiet place with wildlife everywhere, but during the first world war it was at the heart of the British defence against Germany. Situated in the North Atlantic it was the perfect place to control the waters of the Atlantic. At the end of the war the German High Fleet was captured and forced to Scapa Flow. With a huge natural harbour, this area had been used by the British during the war. On the 21st June 1919 the entire German Imperial Navy’s High Seas Fleet was scuttled to avoid it falling into the hands of the British. Seventy-four warships were sent to the seabed, the largest scuttling ever seen. Over the years there have been numerous salvage attempts. The metal from these ships is valuable and the only source of non-radioactive steel available. Today there are just 8 of the ships remaining for divers – Kronprinz Wilhelm, König, Markgraf, Dresden, Brummer, Köln and Karlsruhe. During the Second World War, blockships were sunk at the entrances to Scapa Flow to prevent damage to the British Fleet from Submarines. This was after the catastrophic loss of the Royal Oak. 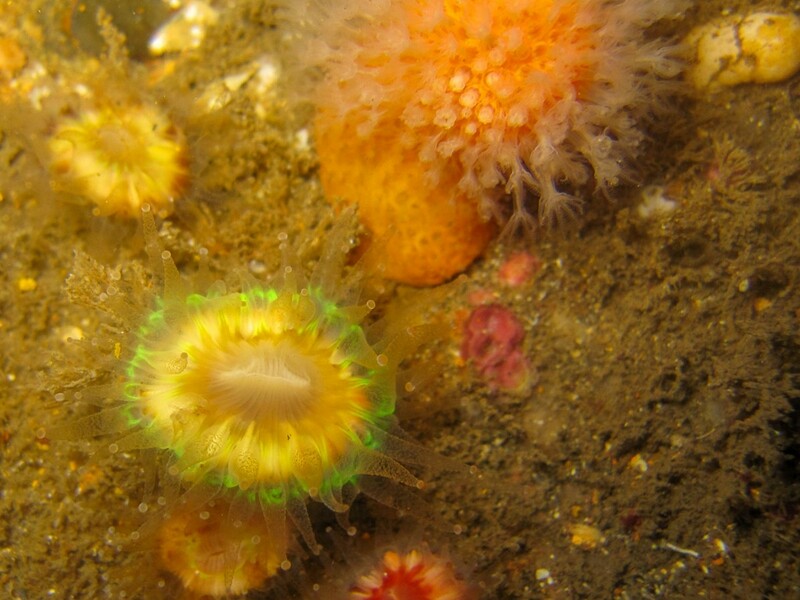 The diving in Scapa flow is cold and dark but the rewards are fantastic. The wrecks sit in 30-45 metres of water. Visibility is often into double figures and can be as high as 20metres plus. This is exceptional in the UK. The wrecks are recognisable as wrecks, some sit upright and all are fairly intact given how long they have been submerged. The diving season runs from April through to October but some of the boats operate throughout the year when the weather allows. 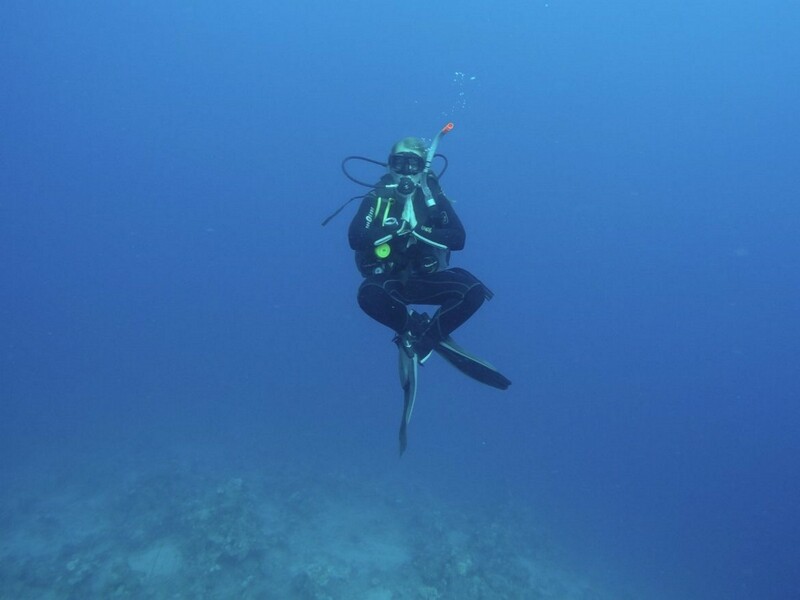 Weather conditions, surface visibility and the cold are the only barriers to diving in these waters all year round. Even in the summer months the air temperature will hover around 10degrees. To dive the wrecks you need professional local knowledge. The tides and currents need local understanding as do the rapidly changing weather conditions. However the hard boats that operate here are all of a good standard with friendly and knowledgeable skippers who are worth the cost involved to get to the islands and charter a boat. 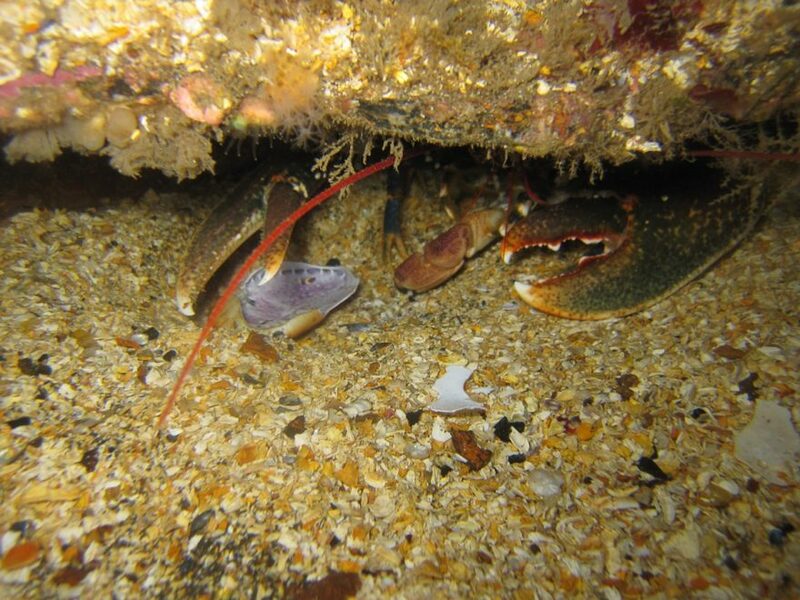 If you don’t want metal then the reefs within Scapa Flow are full of life with scenic drift dives and sheer walls. Some charters will keep to within Scapa Flow but if you want to explore the waters around Orkney then ask at the time of booking as it is possible and very rewarding. Scapa Flow really is great dive location for confident divers and those who want to push themselves just a little bit. We had such an amazing experience scuba diving in Mexico! Honestly, i couldn’t do it for too long because it would pop my ears! However, my wife loved it and did it a few times. 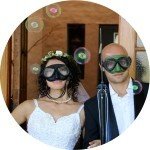 I am a non scuba diver but I liked the post and the compilations. I didn’t know about the scuba diving options in Jamaica. This is a collection of some amazing photography. I don’t scuba dive, but I always enjoy seeing the photos of those who do. 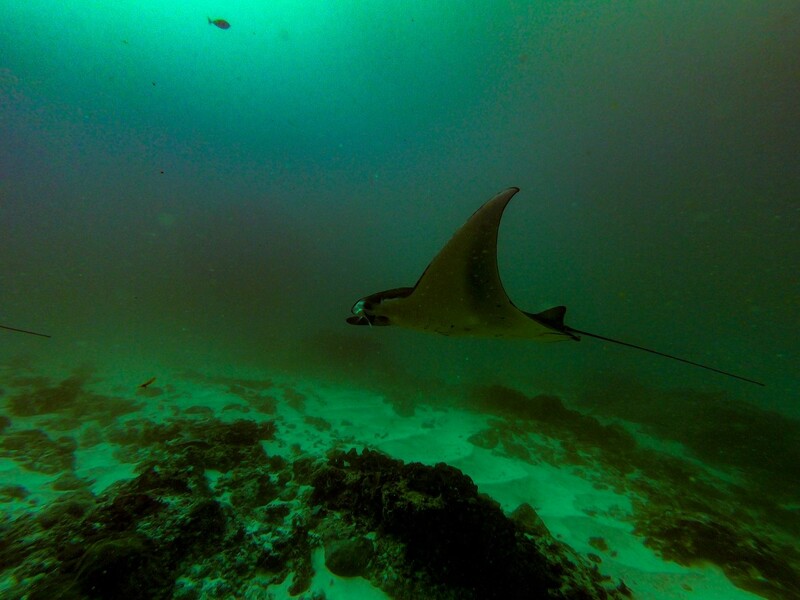 The manta rays of Nusa Penida caught my eye. The water is such a lovely green. So many great places here! I would love to dive in Malta or Croatia, your photos look amazing! I have also heard Belize is great, have you been diving there? these locations look so amazing!! I will deff have to check out some of these spots, thanks for sharing them with us :)!